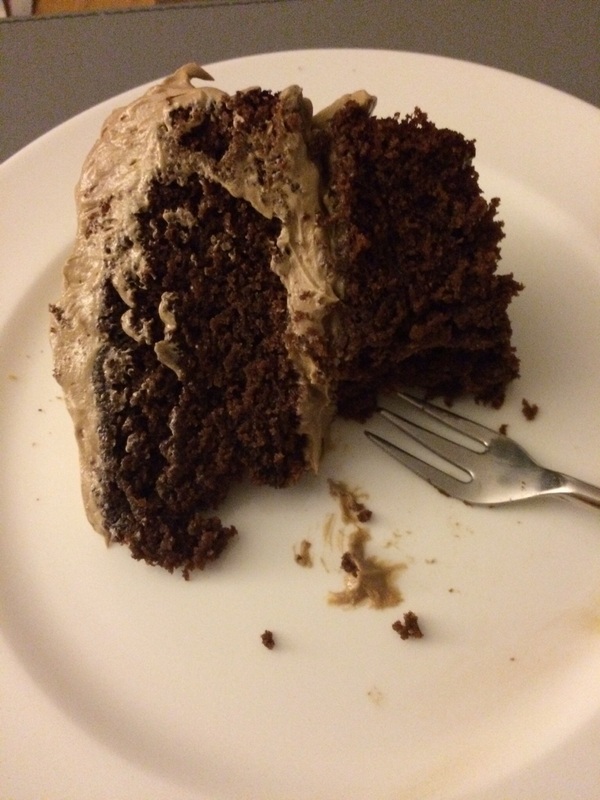 It was soft and moist without being over sweet – I think it will be my go to chocolate cake recipe for now. Perhaps enhanced by the quality of the cocoa from Food Thoughts. 1. Preheat the oven to 180 degrees fan oven. 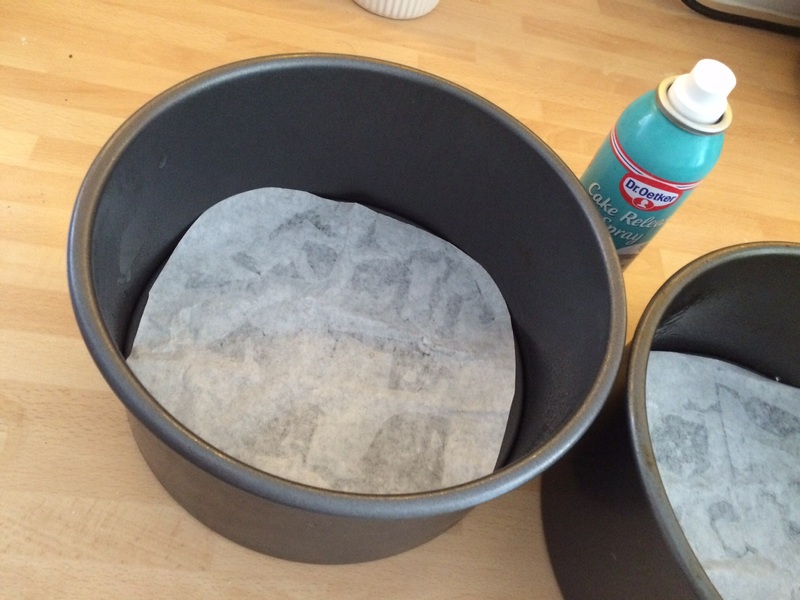 Butter two 8-by-2-inch round cake tins grease and line them with parchment. 2. In the bowl of an electric mixer fitted with a paddle, mix the flour with the sugar, cocoa powder, bicarb of soda, baking powder and salt at low speed. 3. In a bowl, whisk the buttermilk with the oil, eggs and vanilla. Slowly beat the buttermilk mixture into the dry ingredients until just incorporated, then slowly beat in the hot coffee until fully incorporated. 4. Pour the batter into the prepared tins. Bake for 35 minutes, or until a toothpick inserted in the center of each cake comes out clean. Let the cakes cool in the tins for 30 minutes, then invert the cakes onto a rack to cool. Peel off the parchment. 5. 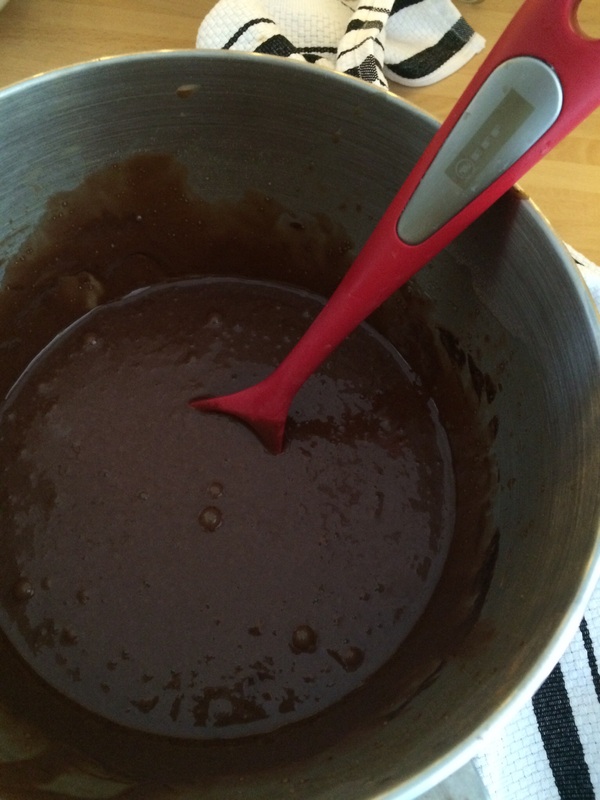 To make the icing melt the chocolate in a bowl over a pan of hot water, stirring until most of the chocolate is melted. Stir until completely melted, then set aside to cool. 6. In the bowl of an electric mixer fitted with a paddle, beat the butter at medium speed until pale and fluffy. Add the egg yolk and vanilla and beat for 1 minute, scraping down the side of the bowl. At low speed, slowly beat in the icing sugar, about 1 minute. In a small bowl, dissolve the instant coffee in 2 teaspoons of hot water. Slowly beat the coffee and the cooled chocolate into the butter mixture until just combined. 7. Set a cake layer on a plate with the flat side facing up. Evenly spread one-third of the frosting over the cake to the edge. Top with the second cake layer, rounded side up. Spread the remaining frosting over the top and side of the cake. Refrigerate for at least 1 hour before slicing.